What would you do if your power was suddenly cut? Nine out of ten respond to us they would head straight to their meter box to identify the cause. That seems quite reasonable but what if the power had been cut deliberately? Over our years in business, we have seen multiple criminals utilise this vulnerability to harm and injure the householder and gain access to the house that would otherwise be denied. Luckily there is a solution… Meter Box Security! 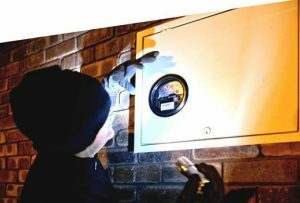 By placing a tamper proof lockable housing over your meter box you can remove the opportunity for a burglar to cut your power whilst still providing the necessary access for utility companies and the house owner to access what they need. As a special service for our customers we are proud to partner with another local business, Meterguard, to provide our customers with a Tamper Proof Meter Box, with fitted Security Window & Lock to remove these vulnerabilities. The Meterguard Meter Box supplied is fully compatible with (and endorsed by) Synergy & Alinta Gas and is fitted with a utility approved cam lock which allows secure access for their needs, but not intruders. If you would be interested in this service please visit Meterguard at and be sure to mention you are a valued SMS Security customer.